Retired neurosurgeon and Republican presidential candidate Ben Carson said he would like to see Roe v. Wade overturned, removing a woman's right to terminate her pregnancy, during NBC's Meet the Press on Sunday. Then, Carson compared abortion to owning slaves, because, by Carson's logic, slave owners did whatever they wanted to do with their slaves with no regard for the slaves' rights, according to NBC. And this isn't the first time that Carson has used this horrifying analogy, which is truly detrimental to the language we use to discuss abortion. Not only does the analogy create a false picture of what happens when a woman becomes pregnant, but it also further steeps women in the stigma surrounding abortion and reproductive health decisions. During slavery, a lot of the slave owners thought that they had the right to do whatever they wanted to the slave. Anything that they chose to do. And you know, what if an abolitionist had said, you know, 'I don't believe in slavery. I think it's wrong. But you guys do whatever you want to do?' Where would we be? This logic is frightening for a few reasons. First, Carson is comparing the creation of a fetus to the act of purchasing a slave for service, which instantly makes the analogy a bad one. Women do not purchase the act of a pregnancy with the belief that the fetus inside of them will serve them and give up its rights. Unlike slaves, fetuses are not implanted in a uterus (the metaphorical plantation in this horrid analogy) with rights. That's why the Supreme Court didn't define personhood, which would say when a fetus can be considered a person deserving of rights, and left that up to doctors. Carson, who is a doctor, should know this. But, even more dangerous and faulty, this analogy compares women to slave owners who would often beat, kill, or otherwise mistreat the people that they owned. The analogy further steeps women who want to receive abortions in the stigma that they are evil and that they would make a "better" decision if they were more informed. In reality, women who receive abortions are often normal, kind humans faced with difficult life decisions. The decisions affect their lives and futures, but Carson is reducing them to selfish, profit-hungry plantation owners who mistreated and often killed living people. And, Carson painting himself as the almighty abolitionist is also problematic. It's not an unpopular opinion to be pro-choice, and it hasn't been for quite some time. Actually, it's more unpopular to be anti-abortion, because research shows that most Americans support abortion, according to the Pew Research Center. Further, people also believe that religion makes abortion a "moral" question for religious people, according to the Pew Center. But, in the U.S., where separation of church and state is a thing, abortion is a legal question unless you ascribe to a specific religion or set of beliefs. This is another fundamental part of the U.S.' framing that Carson seems to be forgetting. 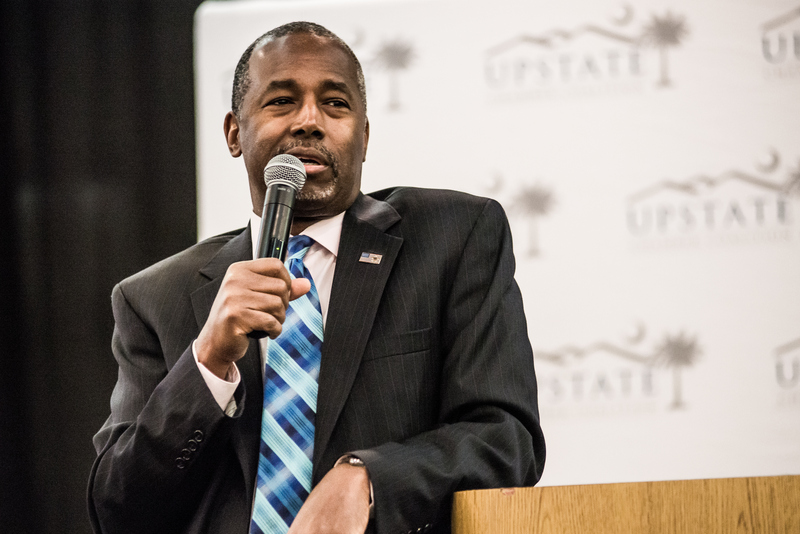 Carson's analogy is false, insulting, and heartless. The move to reduce abortion stigma comes from a place of understanding, because deciding when is the right time to be a mother is a decision that should be respected. When stigma leads someone to dehumanize women in order to claim that they are saving fetuses, which only have the potential for life, then we need to change our rhetoric. Even worse, when that stigma leads to the murder of abortion doctors or forces the founder of the #ShoutYourAbortion movement into hiding because of death threats, then there's a societal sickness that's hurting people.